Shop for handmade goodies at one of California's quaintest markets. 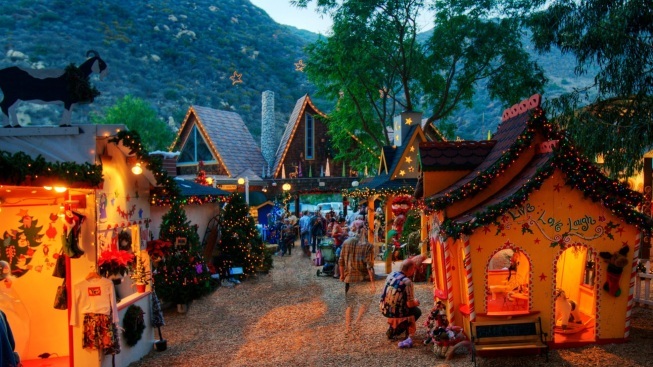 Sawdust's Winter Fantasy opens for 2016 on Saturday, Nov. 19. FIVE WEEKENDS... to browse all of the nifty earrings and pretty headbands and striking photographs and glass ornaments and hand-painted wearables among the many booths (and we do mean many, as some 175 artists show and sell at Sawdust). Santa makes a showing at the annual to-do, and carolers, too. First day? Crunch-crunch along the sawdust beginning on Nov. 19 (the Saturday before Thanksgiving). It all bids goodbye on Dec. 18, the Sunday before Christmas. And in that time period? Gifts to buy, music to hear, and storybook quaint-o-sity to soak up. It's charm-plus-plus-plus, all a short walk from the heart of Laguna Beach.